November 12, 2018 — Comments are off for this post. LeafLink, a sales platform for cannabis brands, distributors, and retailers, has chosen Prime Extracts, one of our cannabis clients, for having the Best Branding in their 2018 LeafLink List! Each year the LeafLink List recognizes the best-selling and fastest-growing brands and products on their platform. We are incredibly honored to see our work among some of the most well-known brands in the cannabis industry! Over the past year, the Brand Joint team worked with Prime Extracts to develop the name, logo, packaging design and overall brand strategy for their line of refined cannabis concentrates. 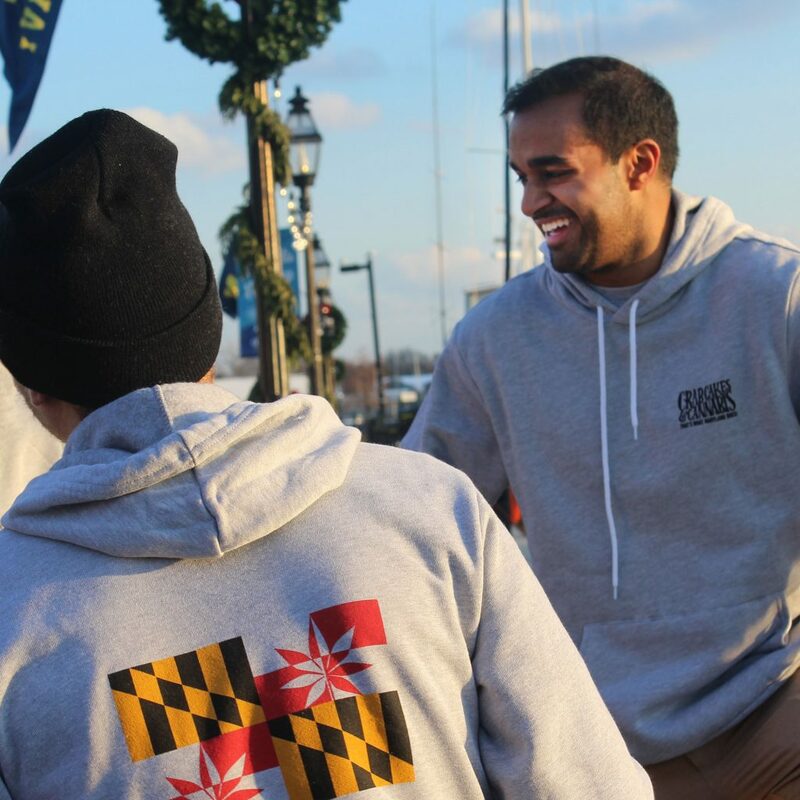 To set a strong brand foundation for their product line, we worked with the Maryland-based company to determine what their brand stood for and how to best differentiate their products from others across the state. Together, we focused on three core brand values to communicate to their target audience through marketing and design: quality, transparency, and responsibility. Choosing a name for your cannabis company can be one of the most challenging and important parts of developing your brand identity. It’s important that your cannabusiness name conveys your brand essence to consumers. The name “Prime Extracts” reflects the purity of the concentrated cannabis. Using an organic, food-grade ethanol extraction process, plant material is distilled to its prime components, resulting in clean, consistent products comprised only of cannabis-derived ingredients. Reflective of that brand promise, we designed a minimalist logo using prime shapes and numbers. Additionally, the packaging incorporates bold, bright patterns, complimenting the robust and flavorful terpene and cannabinoid profiles for which Prime Extracts is known. Prior to Prime Extracts' release in the Maryland market, we noticed that other brands attached a generic, unformatted label listing the state-required lab results and ingredients to their products. That label often covers up packaging design and is difficult to read due to its small print. The Brand Joint team took Maryland's packaging regulations and incorporated them into a design feature that benefits consumers. Our unique label highlights Prime's terpene and cannabinoid profile in a simplified, educational design. This allows patients to quickly identify ingredients, allowing for educated purchasing decisions based on their desired experience. Additionally, when new products and strains are released, our social media team posts the third-party test results as another way to educate consumers through transparency. One of the biggest problems our team identified with concentrate packaging is the difficulty of identifying a strain type once it has been removed from the original packaging. How can a consumer choose the appropriate strain type without any identifying marker on the cartridge? The brightly color-coded system we created for all Prime products is especially effective on the mouthpieces for vape pens. Sativa-dominate distillate, for example, will always be packaged in orange, while hybrids are marked as purple. Not only does the packaging stand apart on shelves, but it goes above and beyond in terms of patient safety. Packaging inserts and strain information are often discarded upon initial use, but patients will be able to medicate responsibility and appropriately based on their desired experience. While this overall brand strategy and design is unique to Prime Extracts, the Brand Joint process is applied to each and everyone of our clients. Whether designing a logo, website, or social media content, we always start by building a brand's foundation — establishing the brand story and core values — before releasing products into the market. We are grateful to LeafLink for recognizing our brand strategy and design for Prime Extracts on their 2018 List! We look forward to developing new products with the Prime team in the near future. Follow Brand Joint on Instagram to see what we're up to with out other cannabis clients! October 24, 2018 — Comments are off for this post. Kelsey Harmon Returns to Brand Joint! We are excited to announce that Brand Joint has added another Graphic Designer to our growing team. 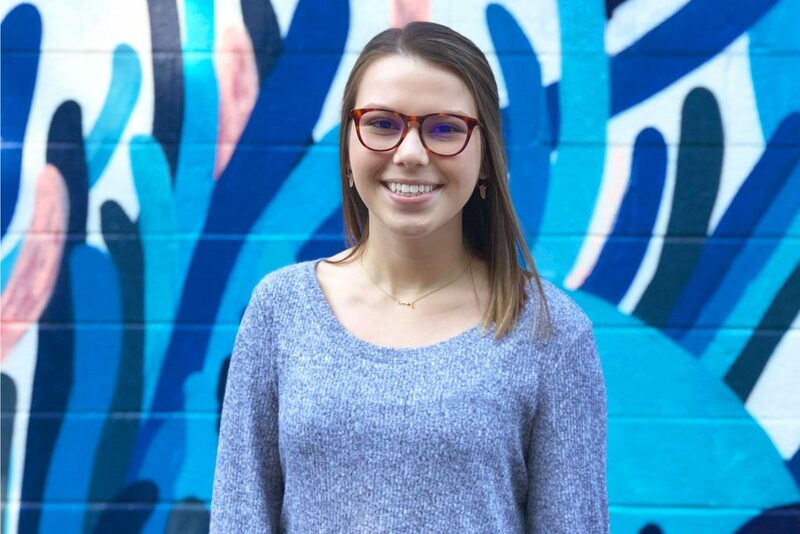 Kelsey Harmon, a former summer Brand Joint intern found her way back to our studio and we're thrilled to have her in the office again! Kelsey is a Maryland native and a graduate of the Pennsylvania College of Art and Design. During her internship at Brand Joint, she hand-lettered the Crabcakes & Cannabis logo-type for our own line of apparel and accessories. 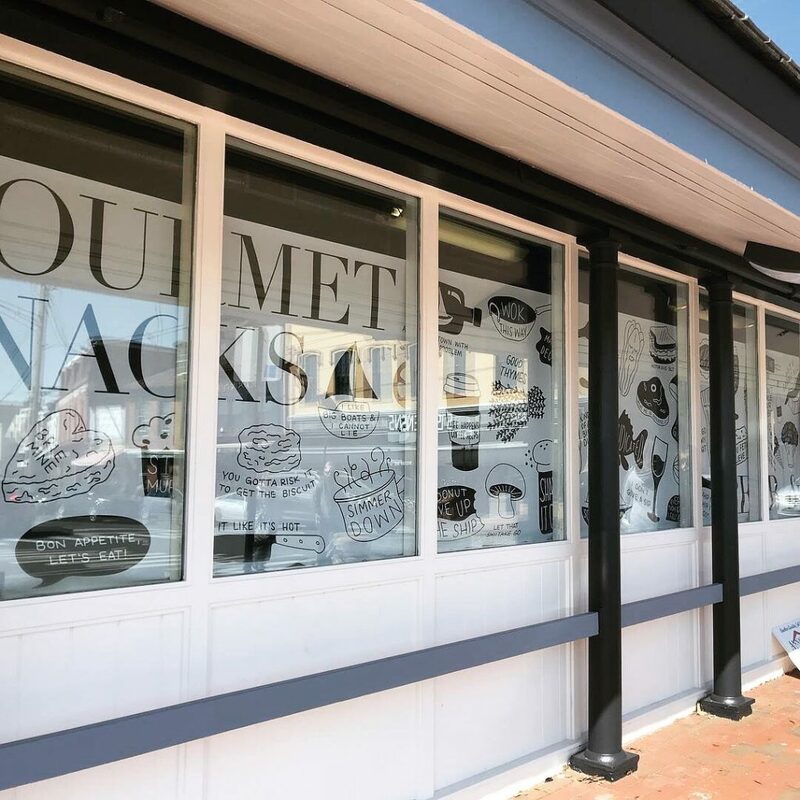 For Peppermill Projects, Brand Joint's sister company, Kelsey illustrated an "under construction" wrap for the Market House — a popular collection of restaurants in downtown Annapolis, Maryland. Prior to joining our team full-time, she served as the Designer at J.O. Spice in Ellicott City. She's a big fan of illustration, packaging design and branding, so she fits in just perfectly at Brand Joint. Kelsey will work alongside our Creative Director and Graphic Design team to design logos, packaging, websites, and promotional content for our client's cannabis brands. Kelsey's incredible typography and hand-lettering skills impressed us last year, and we're excited to see her work shine in our upcoming client projects and future Crabcakes & Cannabis designs. Since joining Brand Joint a few weeks ago, she's already created an amazing set of logos, extended her wardrobe thanks to our unofficial closet-sharing policy, and has been initiated into the weekly Whole Foods sample runs. Welcome to the team, Kelsey. We're so glad to have you back! December 21, 2017 — Comments are off for this post. As we enter the new year, our team took a moment to reflect on the variety of work we’ve completed for our amazing clients in 2017. Last year has been our most productive and exciting one yet. Along with developing brand strategy and designing websites and packaging, we completed several logo projects for our dispensary and processor clients. Below you’ll find a few of our favorite cannabis branding projects of 2017. We're excited to see what 2018 has in store! Charm City Medicus is a Baltimore-area dispensary opening in a few weeks. 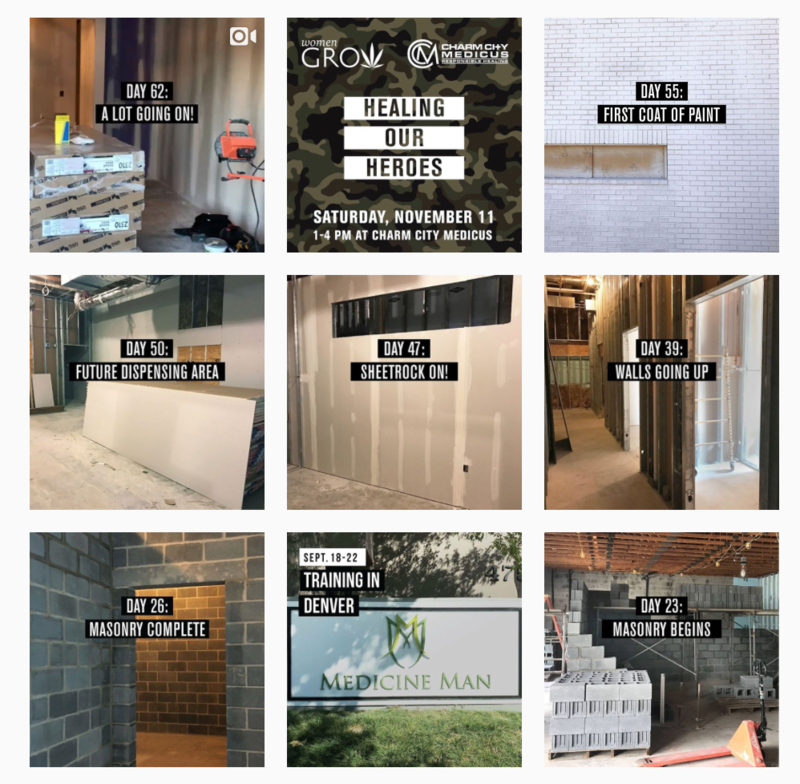 Throughout the last several months, our team has helped develop social media strategy and promotional material leading up to their opening date. As they await their Grand Opening, their Facebook page has over 1,000 engaged followers, more than any other dispensary in the state. Education is a huge marketing tool that has been an asset in the pre-opening success of CCM. This past November we helped coordinate an educational Veteran's Day event to inform their patients and the surrounding community about the medical benefits of cannabis. 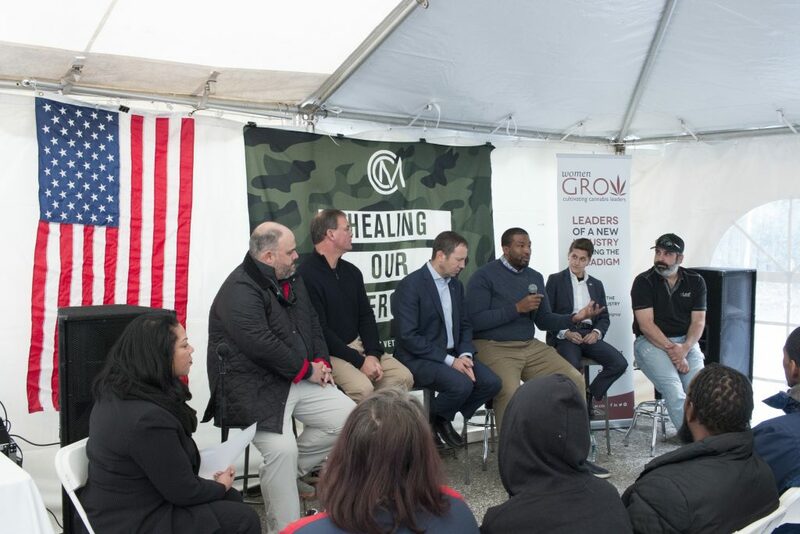 The "Healing Our Heroes" event was a huge success! Several industry professionals and experts weighed in on a panel and discussed how cannabis is grown and processed, and described how different strain types can help treat various ailments. National Holistic has been a beloved client since Brand Joint's beginning. Located in Washington, D.C., this medical cannabis dispensary was the last to open, but currently has the largest patient base in the city. In the last two years, we have helped update and elevate their branding and marketing materials, interior space and most recently, their website to match the team's warm and inviting personalities. Referencing their motto, "treat yourself with nature," the website design depicts elements of nature, providing a soothing experience for patients. 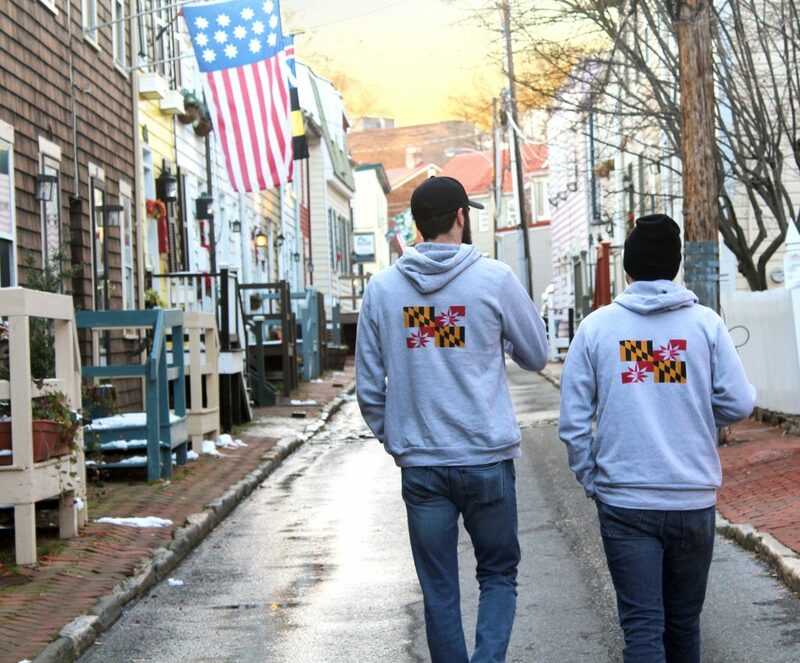 Crab Cakes & Cannabis — That's What Maryland Does! This year, Brand Joint launched our first lifestyle brand. 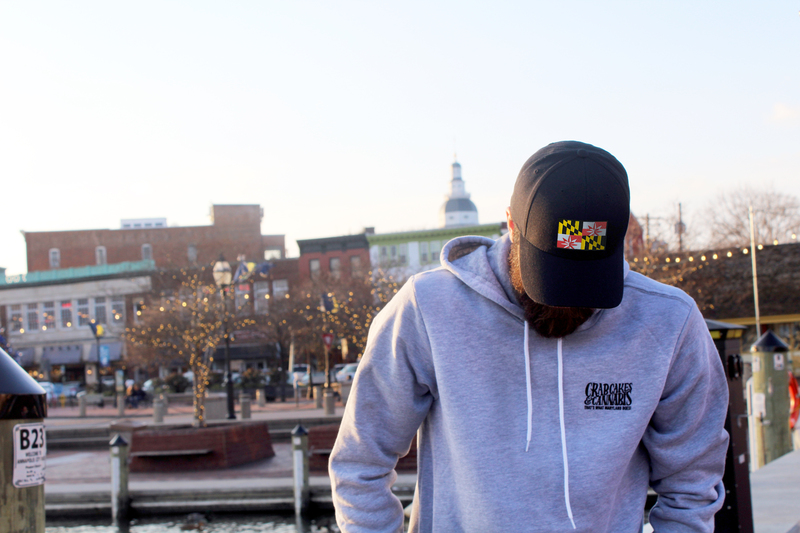 As Maryland is our home state, our first apparel line was specifically designed for cannabis enthusiasts and lovers of all things Maryland! Products include sweatshirts, t-shirts, zip-ups, beanies, baseball hats, patches and stickers. These products are sold exclusively in Maryland dispensaries across the state. Check us out on Instagram and visit our website for wholesaler info! Prime Extracts distills the cannabis plants down to its prime component in order to make the finest quality cannabis oils and concentrates. Using prime numbers and shapes, we designed a bold, minimalist logo that references the concentrates Prime produces. The animation of the geometric shapes creates an interesting design element featured on their website. Most recently, we designed the packaging for Prime products that will be unveiled in Maryland dispensaries this year. 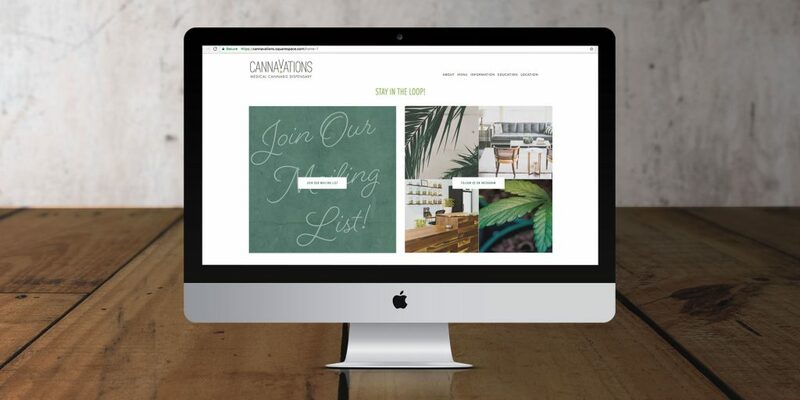 Cannavations is a boutique medical cannabis dispensary located in Cockeysville, Maryland. 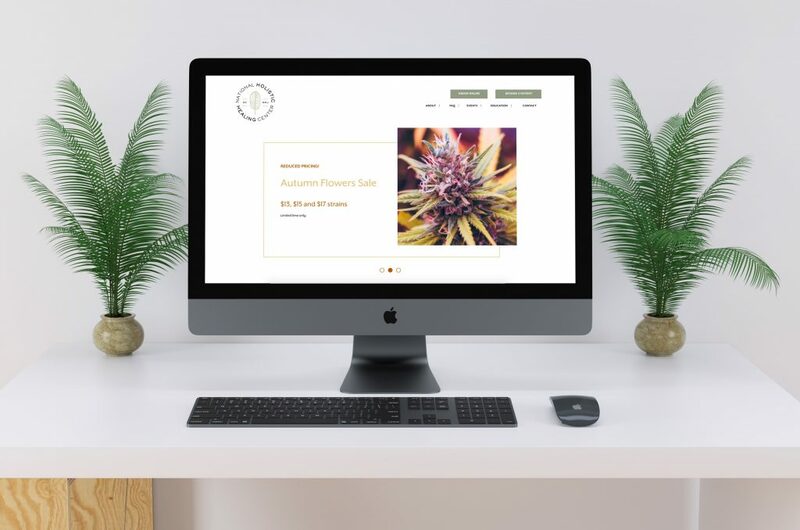 We designed their logo and website to reflect the clean, light and airy atmosphere of the dispensary itself. The raised “v” over the green cross symbol for medical cannabis symbolizes the elevating and positive, healing effects of the high-quality medicine Cannavations provides at the dispensary. The animation creates an interesting and engaging element that can be used on the website and digital platforms.